Arctic Lapland is situated in the breathtakingly beautiful fell highland region of northern Finland. Our destination offers visitors untouched nature, clean air and a genuine Lappish way of life north of the Arctic Circle. Our office is situated in Kemijärvi Lapland. Kemijärvi is a small unique town in the Arctic Circle. It is also the northernmost town in Finland. Nature is just one step away from the town center. 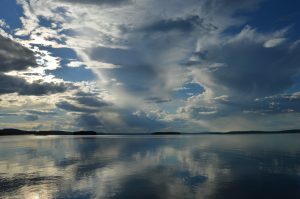 It is surrounded by forrests, fells and waterways – lake Kemijärvi, river Kemijoki and smaller lakes and pounds. 5 fell resorts surround us – Suomutunturi, Pyhä, Luosto, Salla and Ruka. Also the capital of Lapland – Rovaniemi is in easy distance from our destination. So it is easy to combine day tours to other destinations too. Nature is strongly part of our every day live – Wild food, Activities and Relaxation. Kemijärvi Culture is also full of riches. Many artists and handgrafts get insipiration from Lappish nature. And Kemijärvi has it´s interesting history for customers to tell. The waterways enticed people to settle in the area as far back as the Stone Age.